At Fifth Frame Brewing on St. Paul Street in downtown Rochester, Carolyn Stiles starts talking to me about her favorite beer. "I really enjoy a good pilsner, like, a well brewed pilsner," she tells me. Stiles is part of an ever-growing group of craft beer enthusiasts across the country. Rochester alone has over a dozen breweries experimenting with different malts, hops, and yeasts to make hundreds of local beers. With this rapid growth, Stiles saw an opportunity to start a beer education and appreciation group – just for women. It’s called Rochester Beer Gals – they organize events and share beer love and info online. "Our purpose is to really empower women to explore the world of craft beer," Stiles says. The number of craft beer drinkers is growing, but women still make up a minority of that group: only about 25-30%. 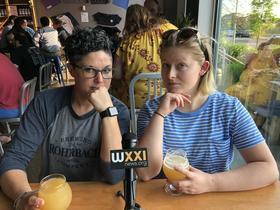 Rochester Beer Gals, Stiles says, isn’t about separating women from men. It’s about creating a friendly environment for women to ask questions and speak up, because sometimes, Stiles says, men can dominate the craft beer space. "There are really excited guys and they know a ton and they talk a lot more than women are apt to." Men aren’t just in the majority when it comes to drinking the beer, though. A survey by Stanford University of about 1700 breweries across the US reported that only 4% of head brewers are women. One of them is Jen Meyers. 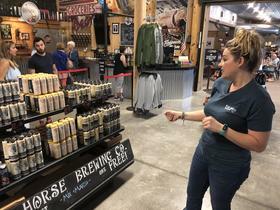 She’s the co-head brewer at War Horse Brewing in Geneva, and she says when she first tried to break into the industry, she was met with some resistance. "In this industry," she says, "you have to lift heavy things and there was still at that time a stigma against women being feeble and weak." In the years since, she says she’s getting more respect from her peers, and she feels like the industry has opened up more to women. That’s important, she says, because beer is supposed to be for everyone. "When you sit with someone, a group of people," Meyers says, "it’s general happiness. It’s great conversation and it’s a sense of unity that doesn’t hold any boundaries, it doesn’t judge, it’s not pretentious." 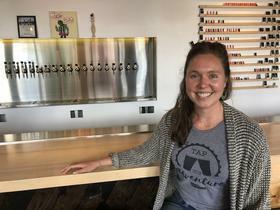 At Roc Brewing on Union Street in the city, assistant brewer Ashley McCaffrey pushes back against the idea that women aren’t treated equally in brewing. McCaffrey says she wishes people focused more on what she was making, rather than her gender. "At some point I really hope that we are viewed, number one, as brewers." Nicki Forster, who brews at Rohrbach Brewing Company, agrees. And, she says the lack of women involved in beer can correct itself with help from groups like Rochester Beer Gals. "I think as we continue to see both women and other minorities as well take more of an interest in and be marketed to, I think you’re going to see a growth in that interest from women," says Forster. The women in this industry may make up a minority, but they do have a few things in common: a love of beer, commitment to their craft, and a certain amount of tenacity. Or, as Meyers puts it: "I’m definitely the kind of person where if you tell me I can’t do something I say, yes I can, and do it even better."